With so many SFX looks it’s important to know when enough is enough; when to stop tinkering, and trust that your look will carry the weight and gravitas that you need it to for the character – advice which is particularly pertinent to the creation of disfigurements and deformities. Make-up is a tool to help convey the character, and the performance can’t be lost within so much make-up that the actor then struggles with it. 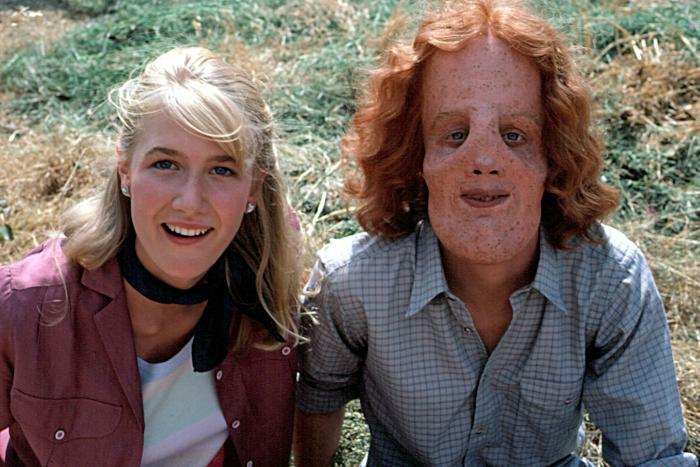 We’ve rounded together some of our favourite and iconic disfigured looks, which tread just the right line between horror and reality, and range from burns and scars to fantastical facial features. Christina Ricci spent an hour and a half each day having her prosthetic pig nose applied for this film, in which she plays a cursed aristocrat. As a PG-rated film the final look was decidedly more cutesy than the director had originally intended; “The first one they put on me was a little bit too hideous and scary and kind of nasty looking,” Ricci revealed here. “Mark [Palansky, director] and Scott [Steindorff, producer] wanted to have it really be hideous looking. And then all the girls in the room were like, ‘Uh uh. We want that one that looks like Miss Piggy and is cute.’ And so somewhere in the middle, we found it.” Liz Tagg Wooster was the Hair & Make-Up Designer, while the snout was designed and applied by Scott Stoddard, the Prosthetics Supervisor. 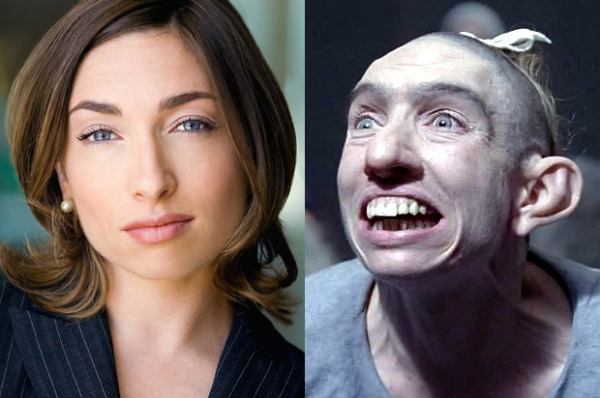 Eryn Krueger Mekash and her team at AHS have been rightfully lauded for many of their character creations, but our favourite is Pepper – the gremlin-ish microcephalic woman played by Naomi Grossman. The role required her to shave her head and sit for three hours to have the ears, facial features and hand pieces applied. When combined with her acting skills, she transforms the effect of the exaggerated features into something believable and meaningful to the damaged character. 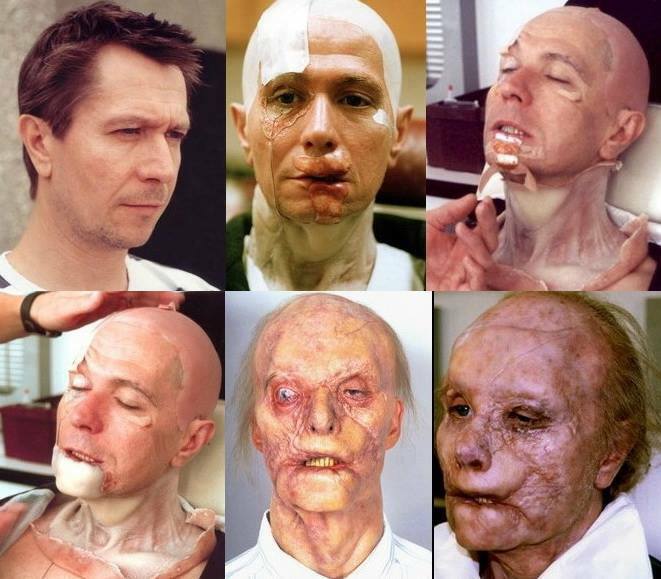 Gary Oldman is unrecognisable in this extensive make-up, created by Greg Cannom – a fact which the production team spun to their advantage as whispers and rumours swirled around his character in the film. The mangled scarring, careful colour job and gluing open of his right eye (yes, really) come together as an unforgettable character look. When you have someone as classically beautiful as Jessica Alba it seems all the more shocking to see them as a beaten-up victim. She actually found that no-one from the cast or crew could look her fully in the eye when she was in her full beaten-up make-up – the prosthetics were suitably graphic and off-putting that people were loath to talk to her. 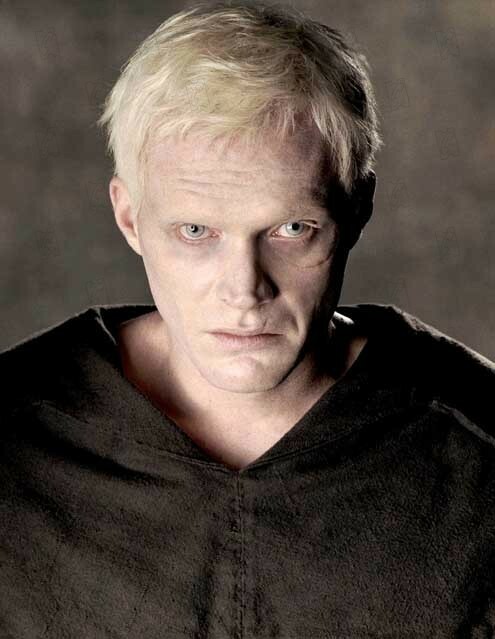 Tony Gardner was on board as Prosthetic Designer, with Richard Redlefsen as Jessica’s prosthetic MUA. 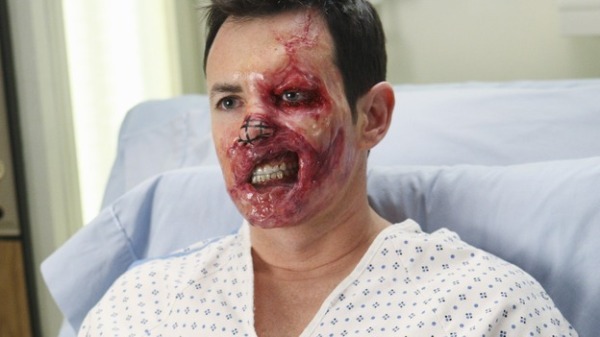 Grey’s Anatomy has a huge range of fantastic SFX creations, but one which stands out among the rest is the risky face transplant which occurred in this episode. Viewers may assume that much of the look was created using CGI, but this image shows the intricacy of the work, with only the nose being removed in post-production. This three hour creation was the work of Tom and Bari Burman, under the direction of Department Head Norman Leavitt. Robert De Niro is one of the most famous faces in Hollywood, but the stitched-together visage of Frankenstein’s creature in Kenneth Branagh’s adaptation is unrecognisable. Paul Engelen collaborated with Daniel Parker on the make-up which led to a much-deserved Oscar nomination. “Daniel and I decided from the outset that the ‘monster’ was going to be a different take from Karloff’s design,” Engelen told us here. “Kenneth Branagh was very supportive of the evolution as was De Niro, although the six hours he spent in the chair was a monstrous demand to make of him.” In our opinion, it was well worth it! 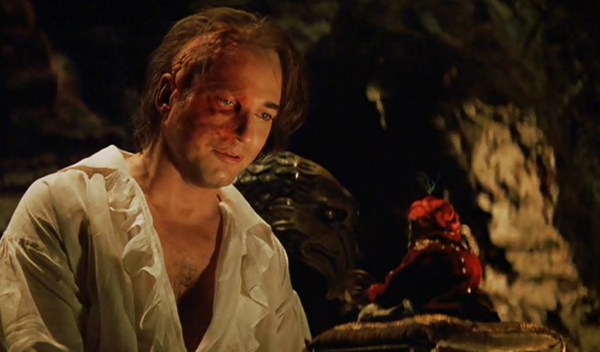 Jenny Shircore took the design of the Phantom from stage to screen, resulting in Gerard Butler’s final look. 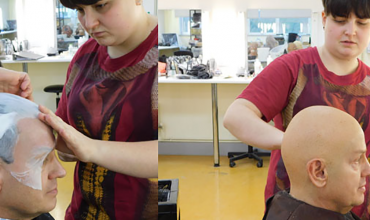 Four hours of prosthetics and make-up with added tricks to help with the look – including having a string tied just below his eye to cause it to appear more deformed when pulled down. The make-up design for the so-called ‘Lionitis’ disease won Michael Westmore and Zoltan Elek the Oscar in 1986. The disease is characterised by growth of tumours in the face and scarring. They even added in acne for the teenage Rocky to aid realism in the character. 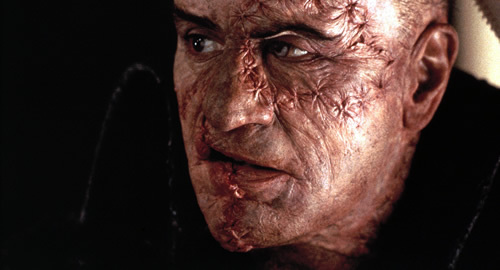 While it initially appears quite over-the-top, the look is actually a very accurate representation of the disease, and of the real-life Rocky’s appearance. 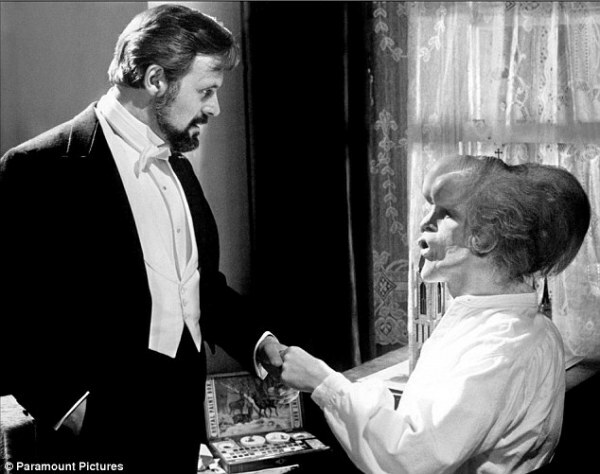 The legendary Christopher Tucker, with the help of Wally Schneiderman, created the memorable look of John Merrick’s condition. The make-up itself took seven to eight hours to apply each day and two hours to remove. John Hurt would arrive on set at 5.00am and shoot from noon until 10.00pm, and even began working on alternate days as it was such a strain. Following the death of the real Merrick, parts of his body were preserved for medical science to study – some internal organs were kept in jars, and plaster casts were taken of his head, an arm, and a foot. The make-up for Hurt was designed directly from those casts. O’Sullivan: I was never given a concept or reason for the scarring before I started on the design of the Joker’s scars. Once I had it in my mind that it was going to be scars, rather than a fixed smile, I immediately thought of the punk and skinhead era and some unsavoury characters I had come across during this time. The terminology for this type of wound is a ‘Glasgow’ or ‘Chelsea smile’. My references had to be real. 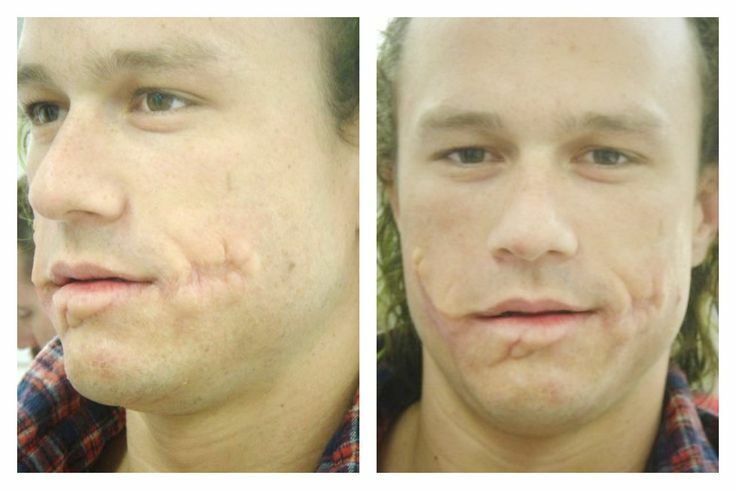 Ledger: It takes about an hour to an hour-and-a-half to get the make-up on. It’s pretty quick. They’ve come up with a new technology for the mouthpiece, as the scars are made out of silicone not prosthetic. My whole bottom lip is fake. O’Sullivan: After a discovery on the film The Last Samurai, I realised that the best way to apply prosthetics was with a ‘carrier’ rather than just fitting them by hand after you’ve taken them out of the mould. This preserved the delicate blending edges as well as the integrity of the sculpture, whilst allowing you to make extremely soft pieces. It took myself and Rob Trenton three years and about £25,000 to work out the method. Once we had perfected the system we discovered that not only were you able to produce perfect, high-definition quality prosthetics on anyone, but it also took you less than half the time to apply — a real selling point when it came to dealing with expensive and tired actors!